Owing to the efforts of our dedicated team of professionals, we have been constantly engaged in offering the best quality Ice Cream Making Plant. Is an automatic Ice Cream Mixing Plant for pasteurization line for small and medium size ice cream plants; which offer the up-to-date design and fully match ice cream industry demand. 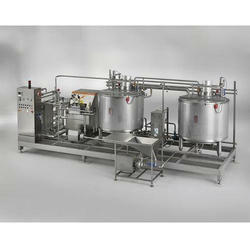 - capacity from 300L/H upto 2000L/H.